Unsound 2013 features four installations, all of which interconnect in different ways with our "Interference" theme. These installations are connected to the project “ECAS - Networking Tomorrow’s Art for an Unknown Future” with the support of the Culture Programme of the European Union. 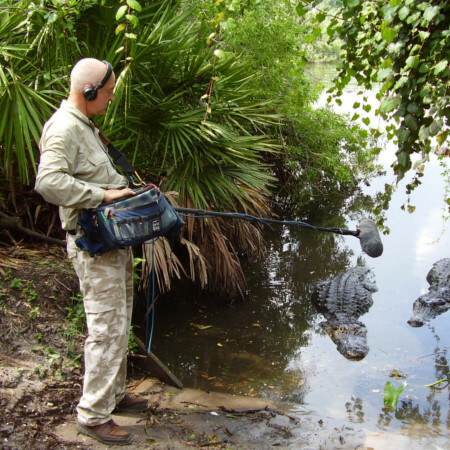 Chris Watson’s “Whispering in the Leaves” uses field recordings to transport us to the rainforests of South and Central America, with visitors immersed in a soundscape of primate calls, birdsong and insect sounds. Some of the species heard are currently unknown - the heard but never seen. To celebrate the 230th anniversary of the Krakow Botanical Gardens, the installation will run in the greenhouse throughout the festival. It features two sound pieces, Dawn and Dusk, each lasting 15-20 minutes – the time it takes to move between darkness and daylight in the dense tropical vegetation. This piece was originally commissioned by the Kew Gardens in London. The “Dead Record Office” is a multi-sensory installation that employs directional ultrasonic speakers and wearable SubPacs to transmit its narrative. Integral to the installation is the Dead Record Archive – a chronicle of events, songs, books, scientists, historical figures, technologies, films, laws, etc that pertain to the ways in which frequencies psychologically and physiologically affect humans. This illustrated archive is composed on the insides of vinyl record sleeves. In this way AUDINT is using and looking at the other side of sonic culture – the side of the record usually kept in the dark - music as a weapon. 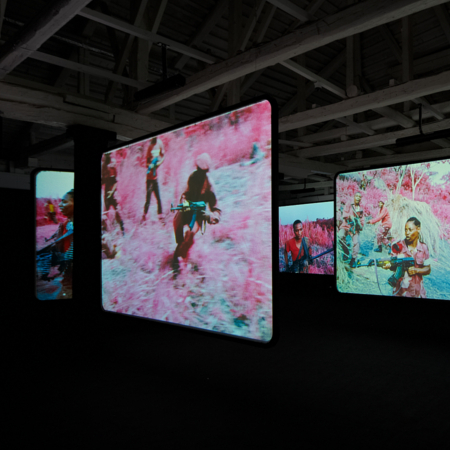 Throughout 2012, Richard Mosse and his collaborators Trevor Tweeten (cinematography) and Ben Frost (sound) traveled in the eastern Democratic Republic of Congo, infiltrating armed rebel groups. The resulting installation is the culmination of Mosse’s attempt to radically rethink war photography, searching for more adequate strategies to represent a forgotten war in which 5.4 million people have died. Mosse used a discontinued military surveillance film to create this work, a medium that registers an invisible spectrum of infrared light, originally designed for camouflage detection. Frost’s audio composition is comprised of Congolese field recordings. The Commissioner and Curator of “The Enclave” is Anna O’Sullivan, Director of the Butler Gallery, Kilkenny, Ireland. Ireland at Venice is an initiative of Culture Ireland in partnership with the Arts Council/An Chomhairle Ealaíon. 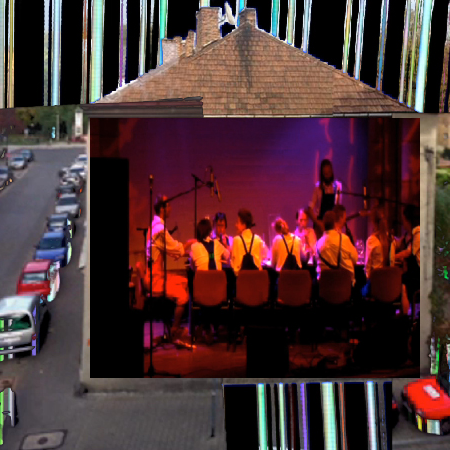 Sound composition for “The Enclave” was co-produced by the project “ECAS - Networking Tomorrow’s Art for an Unknown Future” with the support of the Culture Programme of the European Union. 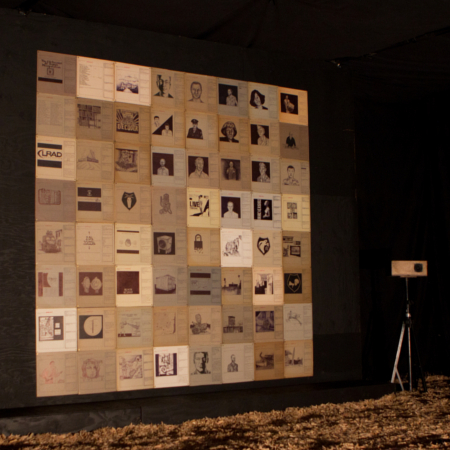 Out-Side-In is an interactive installation incorporating sound, image and text to explore the nature of ability. During a residency at New Roman, RealArtWorks will engage musicians and artists with and without disabilities from Australia and Poland to create content in the form of moving images, song, sounds, words and visual arts. The viewer will interfere with this content by touching physical objects that trigger projections and sounds, creating a unique experience for every specta(c)tor. This links up with the Unsound-presented MOST tour.